Capturing Authenticity — HEART, BABY! In 2010, Angela Shelton was on stage speaking at a 140 Conference hosted by Jeff Pulver (co-founder VONAGE), sharing healing techniques for moving on from traumas like domestic violence and child sexual abuse and Doc Dixon was there sharing ways to begin prison reform. Angela and Doc met and became instant friends. While on a road trip later that year with her high school sweetheart and soon-to-be husband, Angela stopped to stay with Doc and his wife, Linda. The four stayed up drinking wine and listening to Doc’s prison stories. After hearing from prisoners and admins about how prisons were incorrectly depicted too often on TV and in movies, Shelton wanted to be sure that Heart, Baby! was convict approved. Of course after having an extensive education in prisons and prison reform, the term “convict” is not approved; the correct way to refer to what we used to as “ex-cons” is now “returning citizens.” In the case of using a catchy hashtag Shelton got #convictapproved approved by her returning citizen friends. In order to be sure that the never-before shared historical moments were depicted correctly in Heart, Baby!, Shelton made sure the real Doc was present throughout pre-production and production to approve everything from props to costumes. NATE JONES (Production Designer) had a blast working with the real Doc to be sure everything was authentic to prison in Tennessee in the time period, including making blue flame whiskey and hooch. 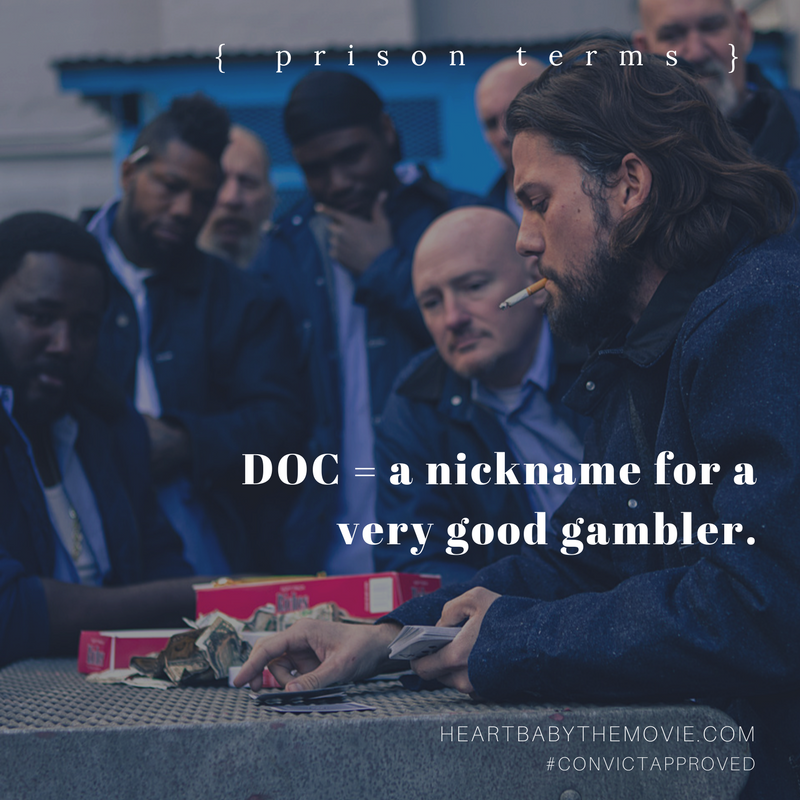 Throughout the film, real prison terms are used and not explained. Shelton says, “I believe audiences are smarter than we give them credit for and instead of spoon-feeding them, I wanted to throw them into the world of prison in 1984 from the very first punch of the film and let them figure it out.” Like the term “short eye” is mentioned quite a bit yet never explained but we realize that the “short eye” is the child molester and many of us run to google after watching the movie to read up on it. As the art department and props were setting up the chow hall scenes they quickly got an education that even though inmates only got a spoon and fork to eat with, they made their own knives, called shanks, and to witness a murder in the chow hall was not unlikely. Shelton had Doc by her side for the actors as well, to help them get into the characters he grew up with. The only problem is that when you get him started, Doc can go off on a tangent, remembering some wild story that would sometimes be very off-topic from the scene they were on. Shelton had a card in her pocket that she would just hold up to Doc as he was regaling someone with a story that said, “STOP TALKING” and he’d shut up really quick, giving her a sheepish grin. 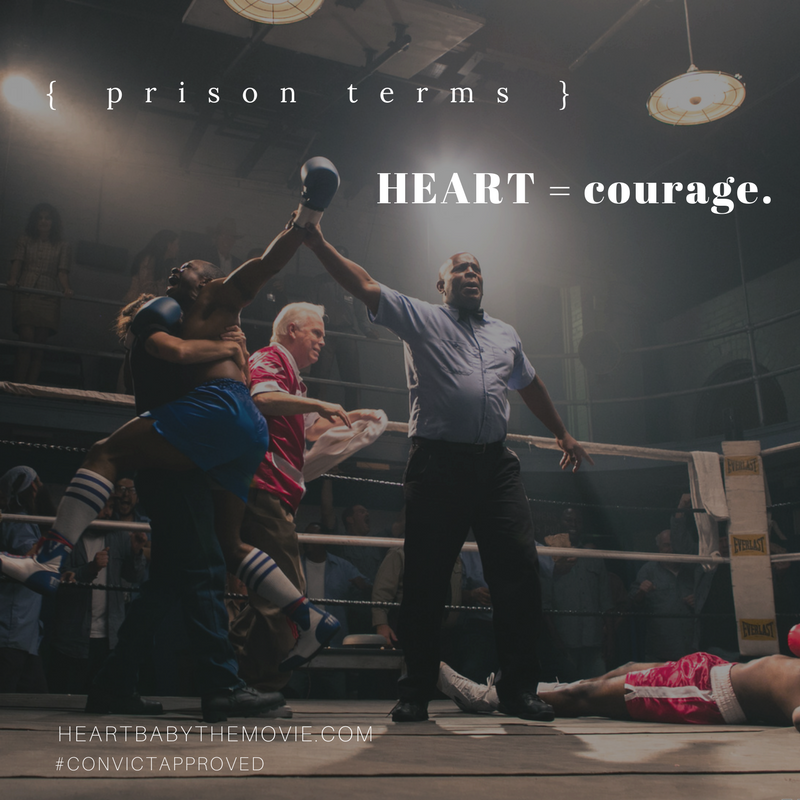 NEED HELP TO UNDERSTAND ALL THE PRISON LINGO IN THE FILM?